Prayers up for Remy Ma. 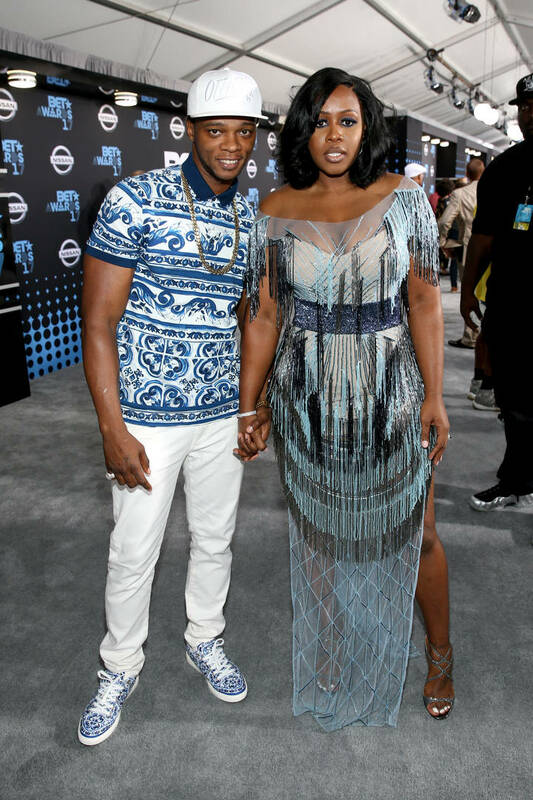 Remy Ma and Papoose welcomed their first child on Friday who was born a baby girl currently referred to as The Golden Child until official baby photos reveal her real name. The happy parents have shared all kinds of sweet words about their daughter, with Papoose enamored by her beauty but also his wife's strength through the delivery. According to TMZ, Remy Ma has unfortunately been admitted back into the hospital due to complications after giving birth. Sources close to the rapper told the publication that Remy was suffering excessive bleeding last night and went back to the hospital for emergency surgery. Apparently, the procedure was a success due to blood transfusions and she's expected to be released back home in a day or two. When Remy was giving birth, Papoose was giving updates on social media calling it “tough labor." "After overcoming such a tough labor/delivery! My wife breast feeds our child, around the clock. I’m so amazed by her strength, courage & motherly touch. @remyma Thank you babe! This is all a dream come true! #thegoldenchild Daddy got you forever. You are the definition of beauty," Papoose wrote on her daughter's born day. Sending prayers to Remy, Papoose and their baby girl.